We all know that when it comes to your wedding day look, nothing should be short of flawless. From your dress to your hair and everything in between, all eyes should be on you—and rightfully so! A vital part of pulling your whole look together is your wedding day makeup. If you’re a girl who loves makeup and has been keeping up to date with all the latest trends, some of this information may be familiar. However, if you’re someone who would consider themselves more of a beginner, this installment of our blog series aims to leave you feeling like a beauty guru. Savvy is here to walk you through all the ins and outs of your wedding day makeup. From prep to completion, read along with us as we explore everything makeup as to offer you on your big day! 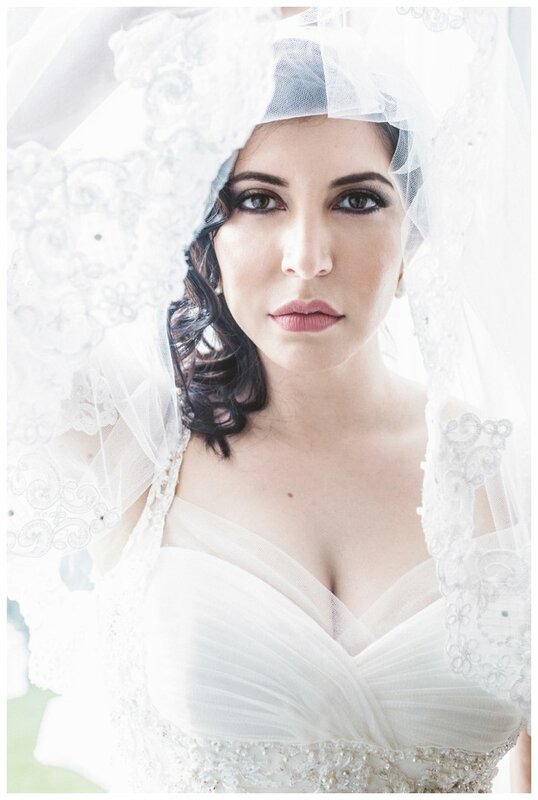 They say makeup is meant to enhance your natural beauty, and this could not be more true than on your wedding day. When it comes to makeup, many may be surprised to find out that the creative process can, and should begin, months prior to your big day. While makeup is meant to help you achieve that airbrushed and flawless look, there are many things you can do to help yourself reach this goal as well. The first being skincare—we cannot stress this enough! Consider starting a nightly skin routine a few months in advance to help your skin feel refreshed and at its absolute best. Savvy suggests investing in a few products; an exfoliator to get that fresh and baby smooth face, a cleanser to keep your skin clean, and a moisturizer to help lock in your skin’s natural essence. By investing time in your skin, this will provide your makeup artist with a clean and smooth base. If you’re looking for that extra TLC, consider booking regular facials, or using a brightening and tightening face mask. From affordable to high end, there are a surplus of skin care products on the market that can help you achieve the skin of your dreams. While we all want to look our best on our wedding day, the last thing we want is to have our makeup hide our natural beauty. Consider sticking to neutral colors, as they will help accent all the right parts of your face. The best thing about neutrals is that they go with just about every color scheme and every dress style. A simplistic makeup look allows you more freedom for expression in terms of accessories and standout pieces. Trial runs, or tests, are a must when it comes to wedding makeup. Not only does this give you more options, but also presents your makeup artist with time to play with different brands and colors. We suggest having your first trial up to 5 weeks before your big day, allowing for any changes or tweaks to be made well in advance. It’s one thing to talk through your bridal vision, and another to see it. This will give you confidence in your makeup choices, and leave you less stressed on the morning of your big day. While your wedding day will be one of the happiest of your life, it will also be one of the longest. For this reason, we stress the importance of investing in makeup that is guaranteed to last you through the entirety of your day. Another way to ensure your makeup won’t budge is to have powder on hand. This will help you eliminate shine and makeup movement, keeping you feeling confident all night long. Our last tip for long lasting makeup is water proof mascara. Not only is waterproof mascara known to last longer, but will also stay in place if/when wedding day emotions get the best of you. For reference, we have included some of our favorite wedding looks from our past brides. We hope this provides you with inspiration to create your own wedding day look. No matter the makeup style you choose to go with, the key is that you are feeling beautiful and confident. While makeup can be an amazing tool to help you achieve your dream look, keep in mind that you're the true beauty of the show— let yourself shine through!